Presumptive Green Party presidential nominee Dr. Jill Stein has reportedly selected human rights activist Ajamu Baraka as her vice presidential running mate. Dr. Stein made it official Monday on Twitter, saying she was "Honored to announce human rights champion Ajamu Baraka as my VP running mate!" On Baraka's personal website, he is described as having "roots" in "the Black Liberation Movement and anti-apartheid and Central American solidarity struggles." He was, until 2011, the Founding Executive Director of the US Human Rights Network. His work has been primarily in the humanitarian sector, and he has partnered with Amnesty International in the past. He is an Associate Fellow at the Institute for Policy Studies in Washington, DC. 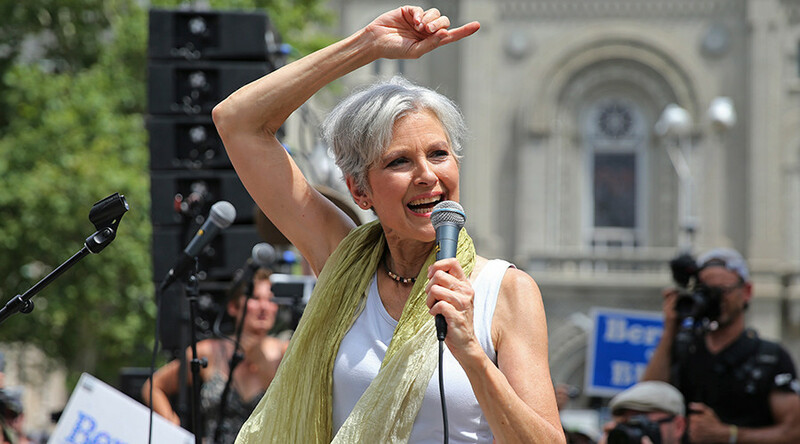 Stein has been seeking to court jaded supporters of Bernie Sanders, who lost the Democratic Party's nomination to former Secretary of State Hillary Clinton. According to Ballotpedia, the Green Party has qualified for 21 state ballots as of April 2016. Earlier Monday, Stein had teased on her Twitter account that her campaign had "not made a final offer on the VP spot," and that she was still "in discussions with several strong candidates."